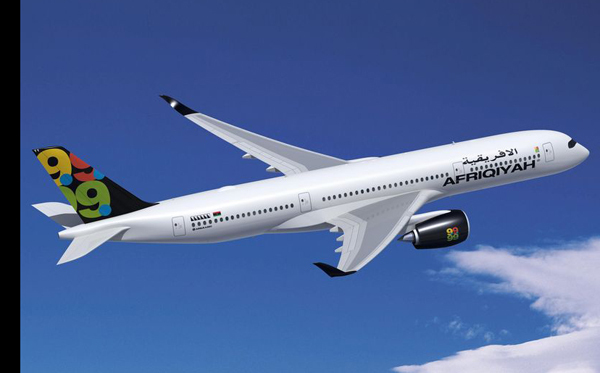 Afriqiyah Airways has increased its A350 XWB fleet with a new firm order for four A350-900s. The carrier has also converted its original order for six A350-800s into six of the larger A350-900 model. This brings Afriqiyah’s total A350 XWBs on order to ten A350-900s. Afriqiyah’s A350 XWBs will seat 314 passengers, offering them the industry’s ultimate cabin experience. These aircraft will be operated on new routes the carrier will open to destinations in the US, the Middle East and Asia. The A350 XWB (Xtra Wide-Body) is an all-new mid-size long range product line comprising three versions and seating between 270 and 350 passengers in typical three-class layouts. The new Family will bring a step change in efficiency compared with existing aircraft in this size category, using 25 per cent less fuel and providing an equivalent reduction in CO2 emissions. Scheduled for entry-into-service in 2014, with Afriqiyah’s newest order included, the A350 XWB has already won 562 firm orders from 34 customers worldwide.